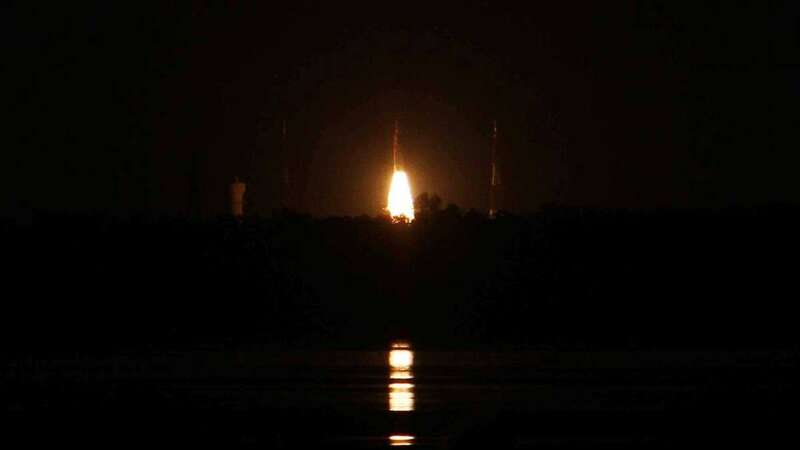 Sriharikota : It was a black Thursday for Indian space programme as it suffered a serious setback after its workhorse rocket Polar Satellite Launch Vehicle (PSLV) failed to deliver India's eighth navigation satellite in its intended orbit. Indian Space Research Organisation (ISRO) Chairman A.S. Kiran Kumar said: "The mission was unsuccessful." "The rocket heat shield didn't separate. The satellite is inside the heat shield," he added. "The satellite was seen rotating inside the heat shield enclosure," he said. The rocket's heat shield should have separated some three minutes into the launch, but it failed to. The scientists waited for some 19 minutes to see if it would separate, and then declared the mission unsuccessful. The IRNSS-1H satellite was to have been slung into orbit at around 507 km above the earth. Rocket scientists are perplexed at the failure. "It is really perplexing that such a thing has happened. Normally the PSLV rocket has several redundancies built into it," R.V. Perumal, a former ISRO scientist, told IANS. He said all the commands are pre-planned and built into the computers. "There cannot be any manual command," he added. Space scientists at ISRO new rocket mission control room were glued to their computer screens watching the rocket escaping the earth's gravitational pull. The launch failure has shocked the Indian space community as PSLV has a good record of success missions since 1993 and has been a major revenue earner for Antrix Corporation, ISRO's commercial arm. But for two failures - one in 1993 and the other on Thursday - the PSLV has an excellent success record launching several Indian and foreign satellites. The launch had to be put off initially after finding a problem in one of the electro-hydraulic control actuators in the rocket's second stage/engine. ISRO also had earlier dismantled a fully assembled PSLV rocket to check a component in the rocket's second stage. The gas motor powers the rocket's second stage control actuators for manoeuvering the engine's nozzle - the process is called gimballing. The process enables the rocket to maintain a steady course on its way up. The failure of PSLV on Thursday is expected to impact ISRO's prospects in the global small and medium sized global satellite launch market.